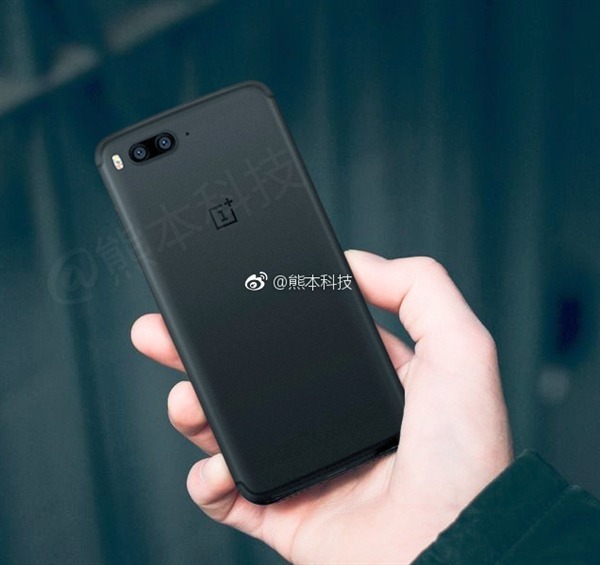 OnePlus 5 is turning out to be the most anticipated phone of this year as we still have no idea how it looks like, despite the fact that a lot of live images and prototypes have leaked in the past. One of the confusing things about the OnePlus 5 is the placement of dual cameras in the back. Some sources suggest vertical placement while other suggest horizontal placement like the iPhone 7 Plus. Today, we have another real life image of the phone that shows Horizontal Dual camera setup, and it is surely much better than the previously leaked images. As seen in the image above, the phone has got iPhone 7 like Antenna lines on the top as well as the bottom. The Camera module is different than that on the iPhone 7 Plus with the LED flash on the left side of the two camera lenses. There is no rear-facing fingerprint scanner so surely; the OnePlus 5 has a front-facing fingerprint scanner. The bottom of the phone isn’t visible in the images, but if we look closely, there doesn’t seem to be any headphone jack on the bottom as we can see only the speaker grills and USB Type-C Port. The phone is launching this summer, so it will be interesting to see the final design of the device because the leak today is from Weibo which is an untrusted source for leaks. What if the phone looks the same? Would you like this new design from OnePlus? Do let us know via the comments section.